Want to add some altitude to your next event? "If you eat lunch on Mondays, enjoy quality live music, and maybe want to dance a little instead of going to the gym, you should check it out." The Angel has the usual evening & weekend live music offerings in their Watershed Lounge, (we play there on weekends too), but they also feature live music every Monday at lunch, from 11:00am to 3:00pm. This kind of thing happens all the time in Vegas, Austin, or Nashville, but this is Arlington. How cool is that? Even if you're not a "casino person," they have one of the best stages and sound/lighting systems around, with full-time sound engineers on staff, and it's separate from the gaming area, unlike some other casinos. It's a great place for live music, whether you're on stage, on the dance floor, or listening & lunching. It IS a casino, of course, and you can win prizes (without actually gambling! ); just sign up for their rewards club and check in when you arrive. They have $50 drawings on the hour from 11am to 2pm, and a $100 drawing at 3pm. We've been playing music most of our (longish) lives, and this is one of the weirdest, coolest gigs ever. This happens every Monday; of course we'd especially love it if you'd come when we're there! "There's always a nice bunch of happy people there for some reason. Go figure!" 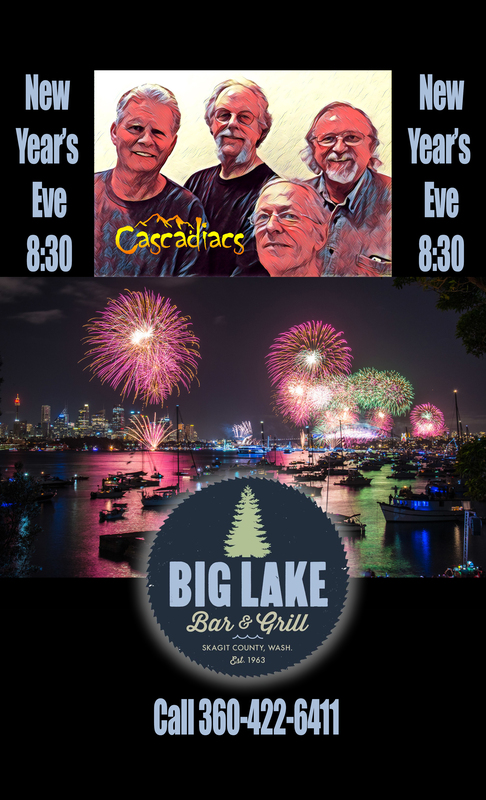 The Big Lake is an authentic roadhouse. Every weekend since forever, they have featured live music and fun times for East Mount Vernon and environs. There's an actual automobile on the stage. Part of one, anyway. Call it a "Bar & Grille." It is also one of the few places (other than casinos) that hire bands for more than one night (or hour!) in a row. We love that. The food is good, they have prime rib every Friday!